Expectations of Motherhood: I expected it to be fun! Fun, but hard work! 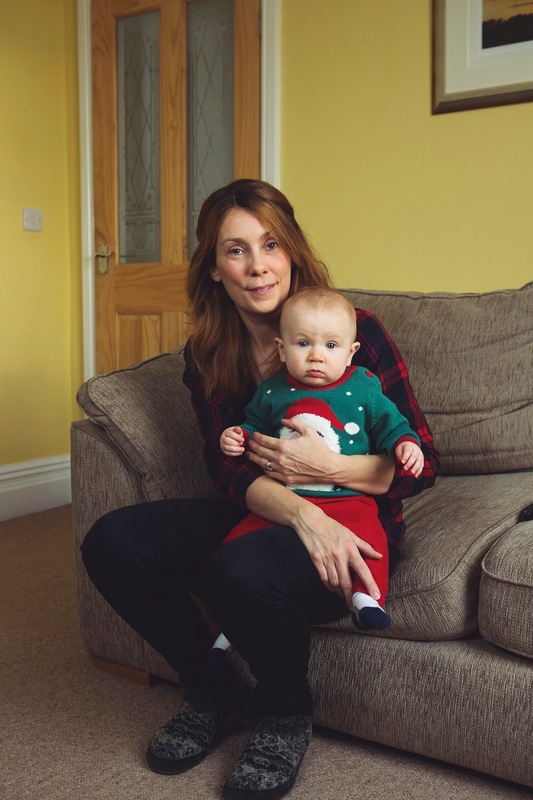 My Mum was at home with us as young children and had lots of time to do fun activities with us, I hoped we’d be in a similar position at least having the first year off work to really get to know Elliott and spend some time sharing the fun with our family and friends. 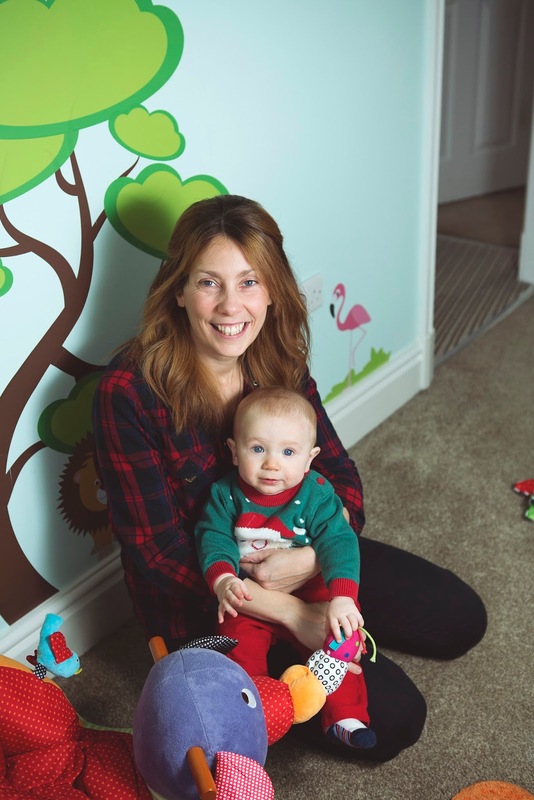 My Mum had had her 3rd child by the time she was my age, so, as an older mum I was expecting it to be perhaps more difficult but I knew I’d be more appreciative of the time with Elliott than I would have been had I had children 10 years ago when life was hectic, busy and very career orientated. I expected to make lots of new baby mum friends! I didn’t enjoy being pregnant at all; I couldn’t go climbing, hill walking with my friends, I was scared I’d get fat again and I don’t operate brilliantly on little sleep!! From what I had read before the birth I had expected to feel this massive amount of love for my baby immediately, a bond, skin on skin would enhance this bond. I expected to turn to Dan and look at our new family and take it all in for the special moment it was; the honest truth being that as I was being stitched up and still sucking on the gas and air I had no idea where my baby was or who he was with or even what was going on! Since the birth of Elliott the Health Visitor and family keep asking ‘So, was it what you expected?’ To be honest I can’t answer that question. I suppose it is what it is. It’s brilliant! It’s tiring! It’s forever changing! I have no expectations as every day is different. Some weeks seem endless; for example when Elliott kept rolling onto his stomach in his cot and couldn’t roll back so he was getting us up at night all the time, or, the warm up to crawling, he seemed to be rocking for weeks on end. Then again, some things go so fast, from crawling one day to standing the next, from teething for a night to having a tooth. (I know we’re lucky!) We are very fortunate to have this time with him to watch him change every day and seeing him grow in his understanding of us is fantastic! 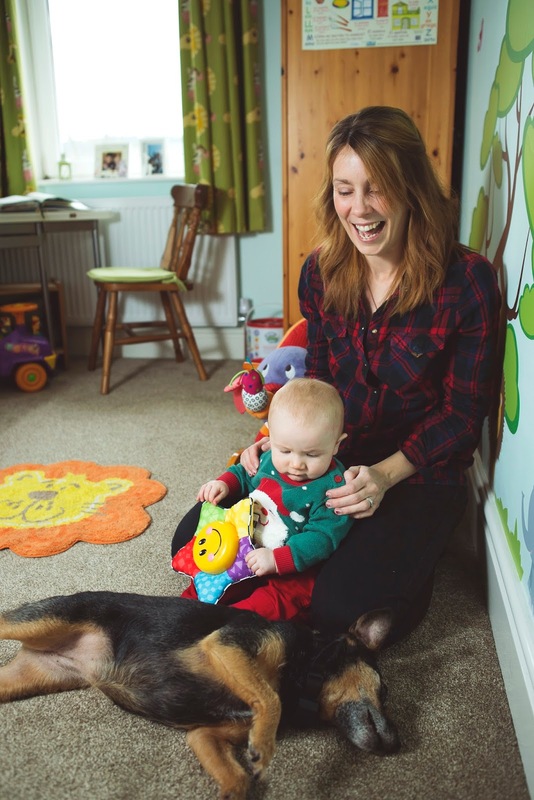 Reality of Motherhood: Initially I think I expected Elliott to do more! I don’t know many babies so getting to know my own was a full on learning experience! Each day, as expected, my love for Elliott grows, and I adore the time I have with him from the moment he wakes until the moment he falls asleep at the end of the day (even secretly when he wakes at night!) It’s tiring and I really needed a routine to bring back some normality to life. It’s a different sort of tiring to hard work. I remember before Elliott was born I thought, ‘I’ve been tired. I’ve worked myself into the ground, I have done extremely long days, full on’ but, this is a different sort of tired. Being a teacher used to timetables and bells, being disorganised doesn’t really suit me although I think to begin with I needed to acknowledge that disorganisation is the name of the game and you have to be baby-led. Day to day we’re busy, we do lots of activities – I really enjoy baby signing and Elliott seems to understand what I’m saying to him and is now beginning to sign himself which is fantastic. Taking your child home for the first time: I couldn’t wait to get home. We discharged ourselves from the hospital! I was so uncomfortable and couldn’t even reach Elliott from the cot at the side of the bed to hold him. I had no idea whether I was supposed to stand up, walk around, call for help? All the confusion of people in and out, tests, and the constant noise at night meant neither of us could settle or get comfortable enough to feed. I didn’t like how forceful the midwives were with trying to get Elliott to feed – I didn’t expect this (he had fed numerous times before we left). His little red head being forced onto my breast and his screaming in defence of the forcefulness upset me and him. I knew we would be better off at home where we could sit calm and comfortable. 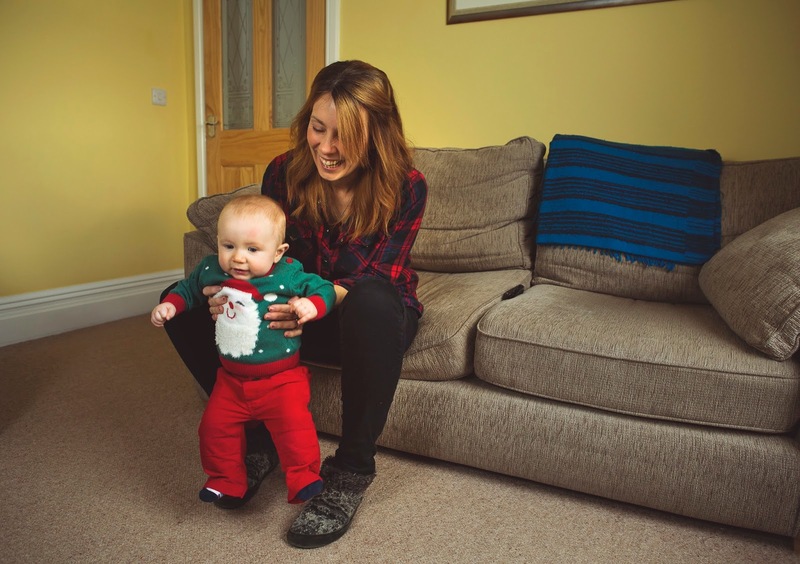 (Worth noting here, when we asked the visiting Midwife the next day from home about feeding, and what if Elliott didn’t settle to breast-feeding, we were told we were offered support at hospital and refused it! – Helpful! This is when I was introduced to Gina Ford, and for all the love/hate for her books she helped (when the midwives didn’t!). We left the hospital in the afternoon and I thought I could walk to the car. (Being the all capable new mother I insisted I walked to the car!). I got to the front entrance to the hospital and I just couldn’t do it! I think that was when reality kicked in! I wasn’t going to be able to do EVERYTHING in the way I thought I could! I made it across the carpark and the hurdle of getting into the car – who knew it was that low down?! Arriving home we were greeted by both sets of Grandparents and a Chinese takeaway – to this day the best meal I can remember ever eating!! They didn’t stay long but it was lovely to introduce Elliott and also see some caring and proud faces. The best/worst advice: Take a few weeks maternity leave before the birth if you can / We’ve not really had any bad advice which is great!! Having no routine and letting baby dictate what and when just left me completely disorganised (I have discovered I am no earth mother – not for want of trying). Lack of sleep is hard, definitely! I always keep going which surprises me massively some days, seeing Elliott’s happy face all the time makes it worth it. No matter how tired I am I seem to find energy from being in his company. The best parts of being a mother: Seeing Elliott change every day. Whether it’s a new gurgle, a baby sign, an attempt at crawling or even just a smile. I see myself and Dan in him already. I feel proud that this is a person we have produced and know that we will ensure he is protected and provided for as he grows to become a successful adult. I love watching him learn new things! We’ve really enjoyed attending classes, we sing Spanish songs and learn baby signing. We’ve painted plates and enjoyed messy play times, I’ll miss that for sure when I return to work. Hopes for your family: I hope we continue to do what we are doing. It seems to make Elliott content; he is a happy boy. As a family we love the outdoors, climbing and walking and I hope Elliott will find this a fulfilling part of his life too. We take him with up into the mountains (ticking 7 Wainwrights and 2 of the Yorkshire 3 Peaks so far). He goes climbing with us (well he watches and has the company of our good friends who have been so supportive of us trying to do the things with love as a family!) I hope we continue to make things work around our busy jobs too. When I return to work there’s a lot to do in a short day and the pressures of working in a school alongside working at home need to be balanced (for both parents). 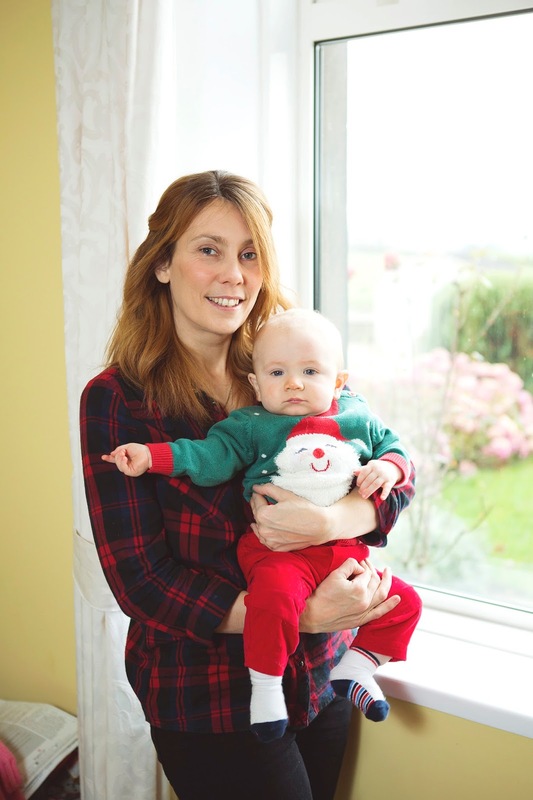 What advice would you offer to new and expectant mums: I’d pass on the useful advice from my Doctor – you know your baby, if you suspect something you are probably right!